The development of new technologies over the past several years has led to a variety of new and exciting forms of communication. These technologies can enhance communication in the church among members of the congregation and between the congregation and its community. However, taking advantage of these new forms of communication requires a thorough understanding of the new technologies. 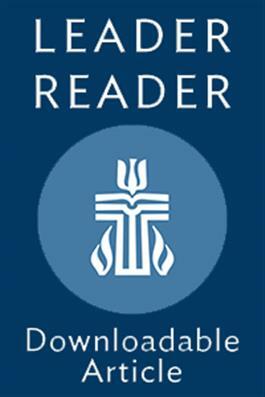 This Leader Reader offers an introduction to the communication tools available to congregations today as well as some guidance on choosing which ones might be right for your church.